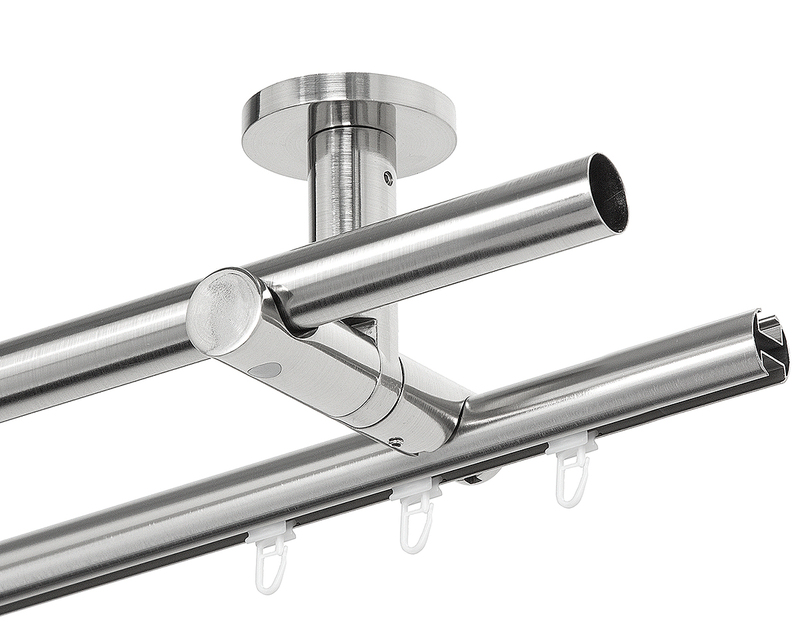 Ceiling brackets for pipe curtain rods and round profiles are frequently the only alternative in case of complex architectural solutions or when there is no place above the window for a traditional wall bracket. 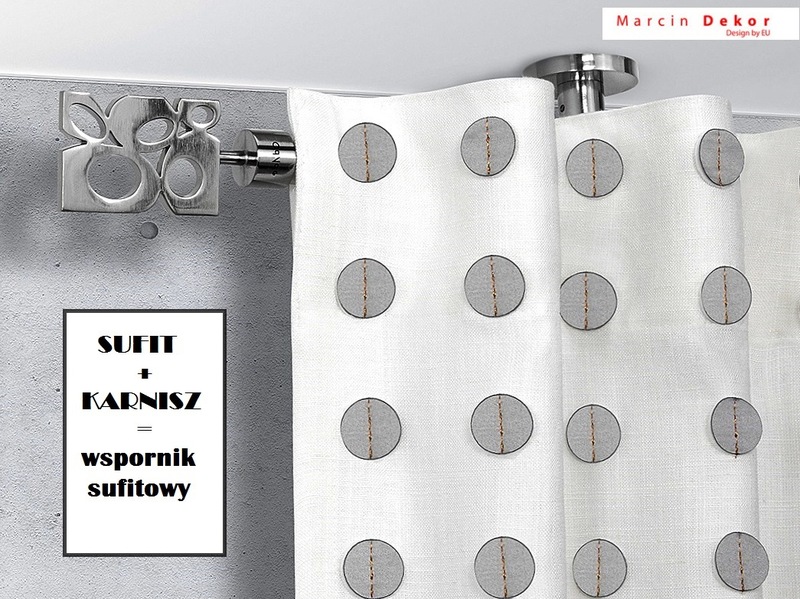 For that reason all collections of wall curtain rods offered by Marcin Dekor include also ceiling brackets. 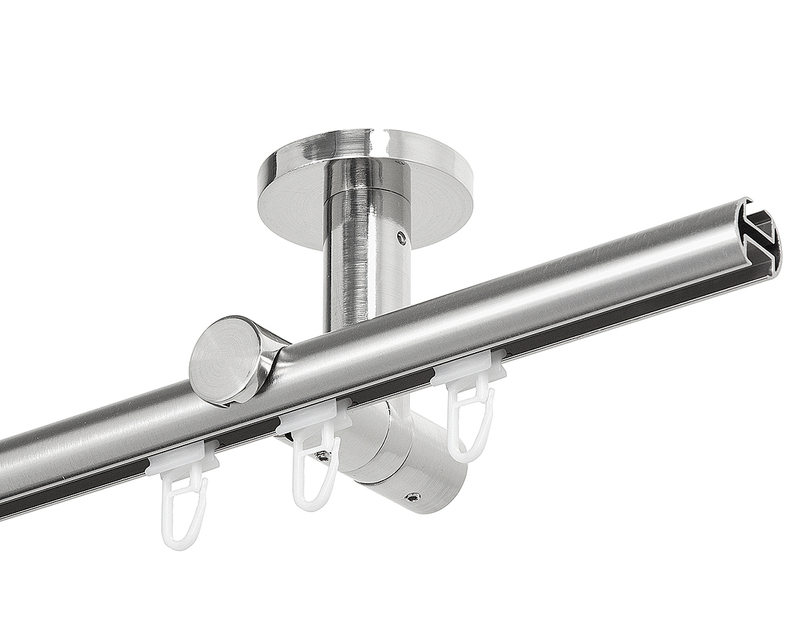 Ceiling bracket uniwersal rotated for rod or profile o Ø 19mm. Distance from ceiling 7 cm. 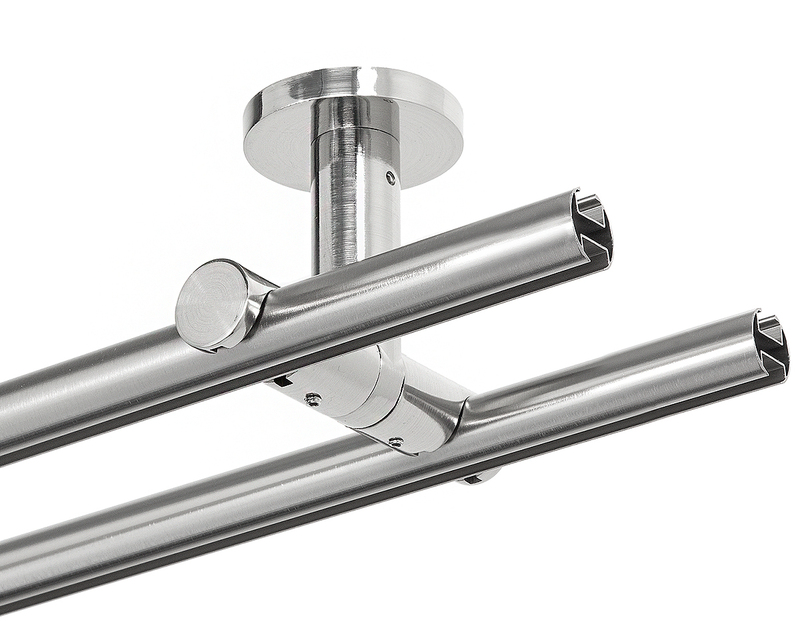 Ceiling bracket double uniwersal rotated for rods or profiles Ø19mm . 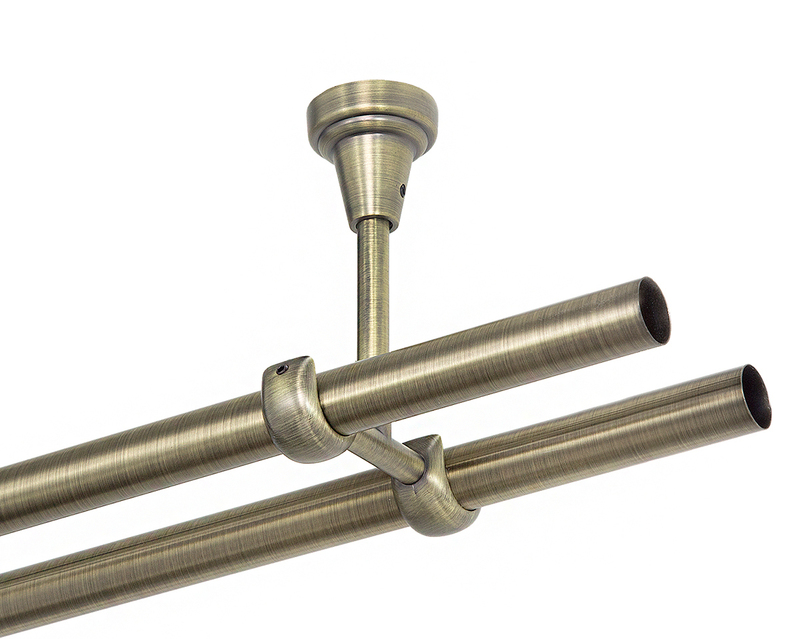 Ceiling bracket double for rods Ø: 16mm, 19mm, 25mm.